Low water level within the spa connected to a swimming pool. This can be a common issue and is likely caused by either the spa suction being open and there’s not enough water returning to the spa or it’s a faulty check valve. Check the suction side lever that is connected to the spa so see if it’s open. Some have electronic actuator valves that maybe set incorrectly and possibly when you put the automation system into spa mode the levers may turn incorrectly. If that’s the case, then they need to be adjusted by the little trip switch that’s on the actuator valve to synch with the control system commands. 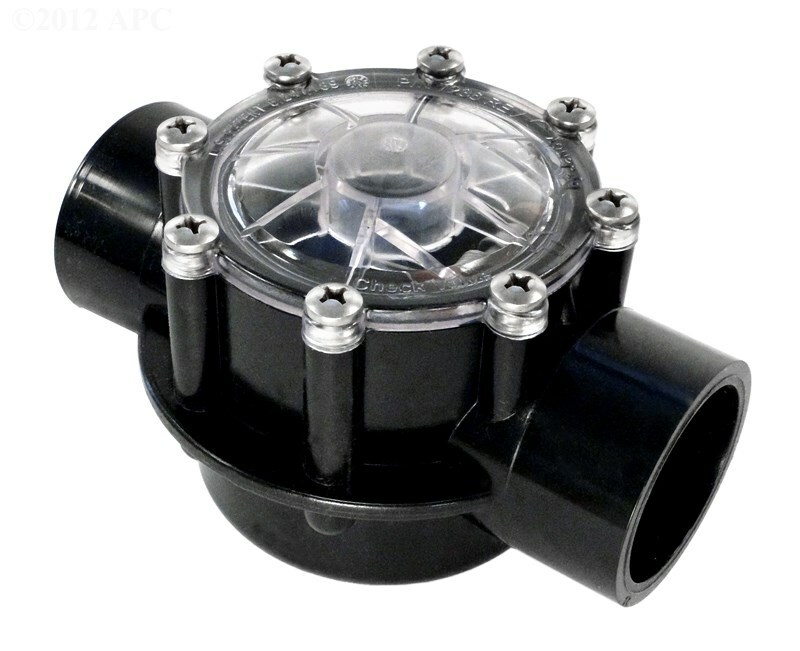 The most common check valves are either the Jandy check valve pictured below or the Pentair check valve that looks similar to the Jandy but is different and they need to be replaced with the same type as the existing one. There’s also the Ortega check valve and some others. Check valves are normally on the return side of the plumbing and are common on spa return pipes as well as in-floor cleaning systems. Ensure the arrow on the check valve is pointing in the direction of water flow. Check where the arrow is located prior to removing a check valve so it’s put back on the same way as it was removed. Sometimes there’s more than one check valve on the system so it can be a process of elimination to find which one might be the issue. 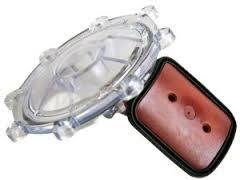 Look for weak spring back when the flap is pushed open and closed. Also look for an issue with the rubber seal that goes around the door there’s also a rubber part to the Ortega check valve that gets worn too. The most common sign that it is the check valve to be the issue is if the water gradually goes down only when the pump goes off. Normally the water level will go down to the same level as the pool as it drops naturally by gravity down through the pipes if it’s getting passed a faulty check valve. If you need help with this issue or have other pool related questions please use the contact us page as PoolStar will be happy to help. PoolStar™ is a Certified Pool/Spa company that is always dependable, professional, licensed, insured and family-owned. We are a growing and exceptional business that provides swimming pool cleaning service and pool maintenance in Henderson and Las Vegas. Our services include pool cleaning, acid wash, green to clean, drain and refill, filter cleaning and more! Give us a try today! PoolStar™ is so confident in our service quality, that we will price match any other pool service providers for the first month of service in the greater Las Vegas & Henderson areas!